The son of South Africa’s former Miss World and her husband, businessman D’Niel Strauss, is growing up fast! 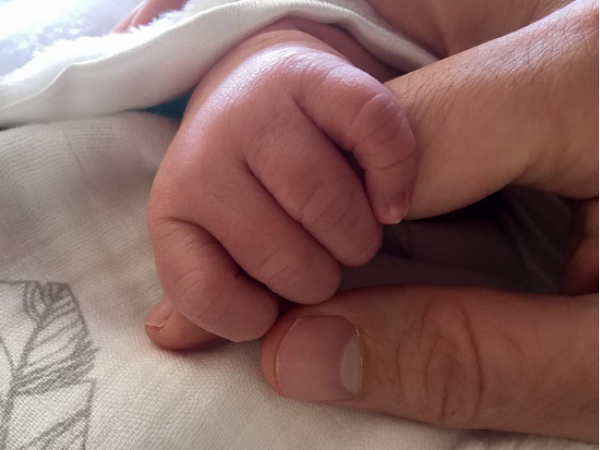 Rolene and D’Niel Strauss's baby boy is growing up so fast! “Sweaty cuddles! Oh, how I love coming home to you... My new favourite person (Sorry D'Niel ),” SA's former Miss World captioned a picture, in which she holds her tiny tot after a workout session. The little guy is now three months old. Rolene is currently completing her final year in medicine at the University of the Free State. Maria Mashini, who’s been working for the Strauss family in Volksrust for the past 24 years, moved in with Rolene at her flat in Bloemfontein to help her with the baby. “If I didn’t know what being prepared to walk in front of a moving car felt like, or to lay my life down for someone, I now know what it really feels like,” Rolene told YOU recently in an interview on motherhood.